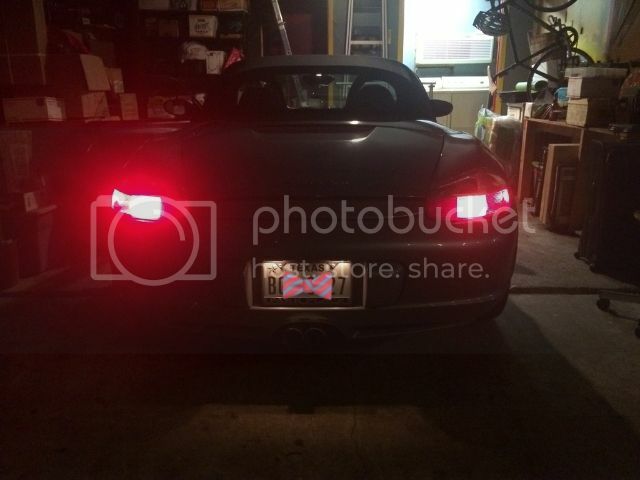 I had a brake light bulb burn out on my newly acquired 986, so I swapped all the rear bulbs with leds. Porsche bulbs are the reverse of normal polarity (+ and -), so normal leds won't work, unless the polarity is reversed, or the leds are not polar sensitive. 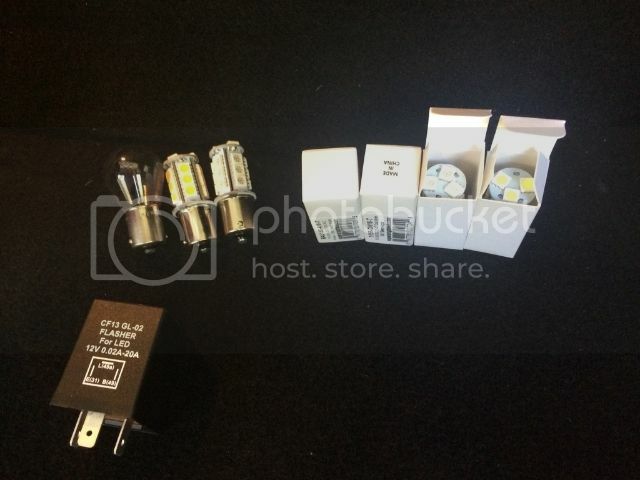 Superbrightleds.com has a selection of polar non-sensitive bulbs. 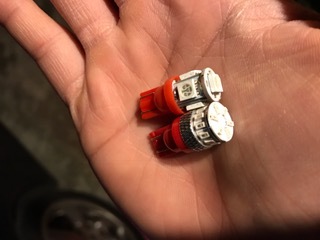 I didn't need to remove the whole tail light assembly in order to change the bulbs, there is a release to slide the bulb holder out. In my case, the drivers side didn't want to come out easily, so I removed the housing. Here with the new leds in: I did not change the fog bulb because I never plan on using it (it works). 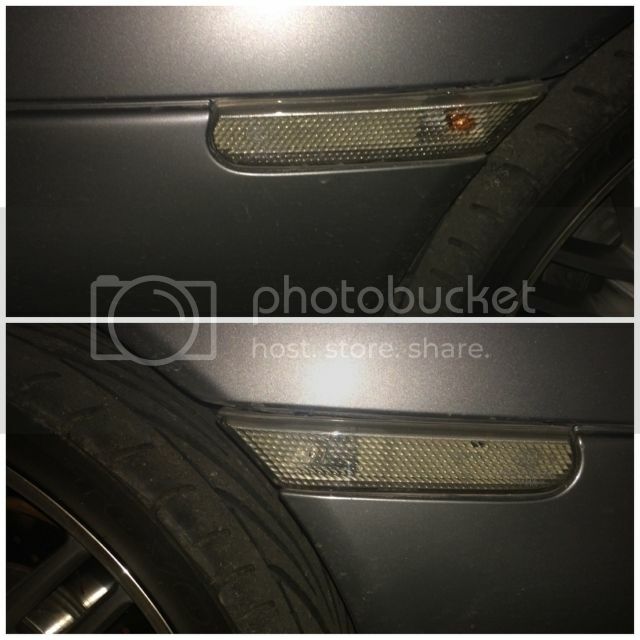 Here is the reverse light in comparison, the new led is on the left (drivers side), old halogen on the right. The leds are not noticeably brighter than the old halogens, but more pure to their color. In this case, the reverse leds are in cool white. 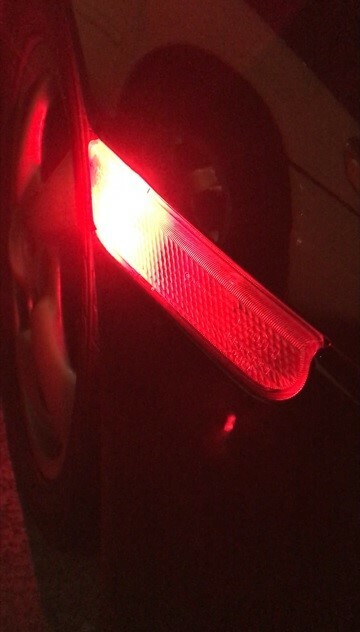 Here is the tail/running lights in comparison, led on left (driver). The pics aren't the best, the camera and lighting are poor, but you can see the difference in color. Here's a close up of the tail/running and the rear marker lights. The led is on top. 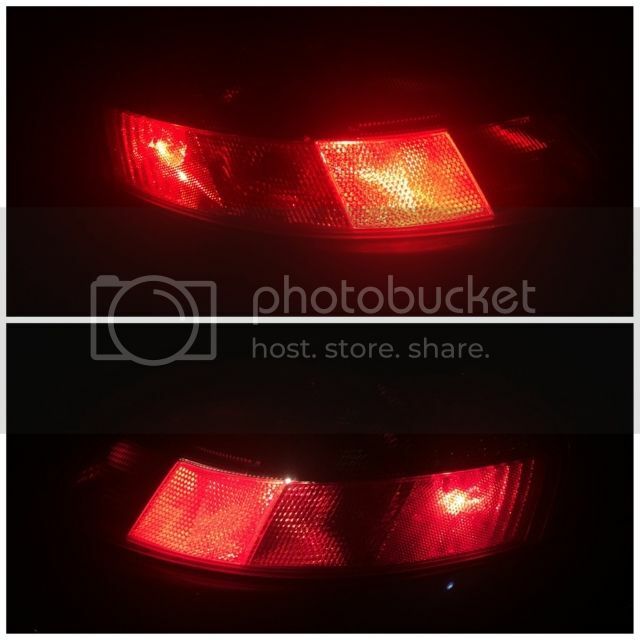 Here is the brake lights in comparison. 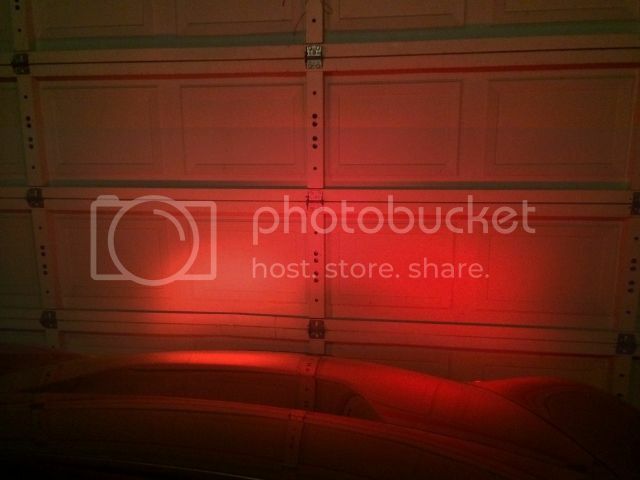 Since I couldn't press the brakes and see the lights, was just me, I took a picture of the brake lights reflection on the garage door. 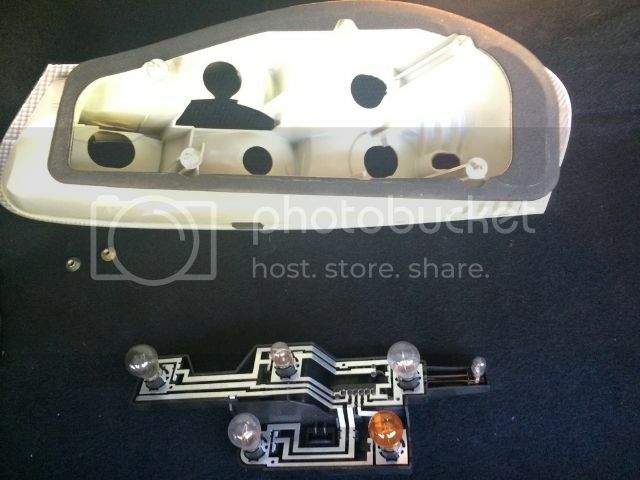 The led is on the right in the picture (drivers side). Not much brighter, but red-er. Here is the turn signal in comparison. Led on left (drivers). The led turn bulb flashes instantly, as the halogen flashes with more of a delay in brightness. I also swapped the front side marker bulbs to amber leds. The leds hide the amber color in the clear lens, looks cleaner. The top pic is the halogen, note the amber hue. Did you keep the regular turn signal bulbs on the front (headlights)? 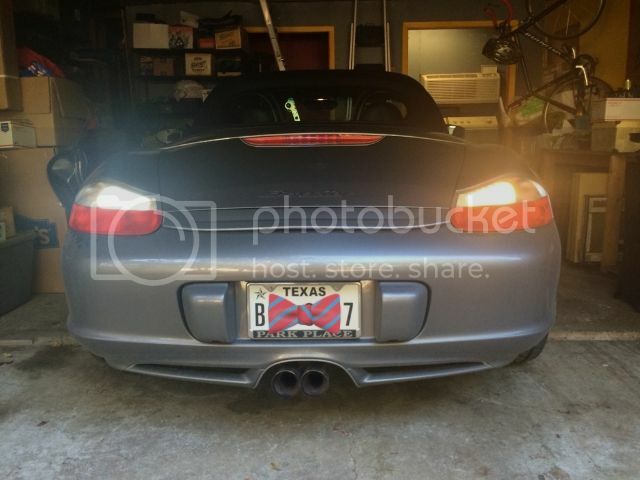 Porsche bulbs are same as all German cars and are NOT "reverse polarity." Center post is positive, side shell is negative. 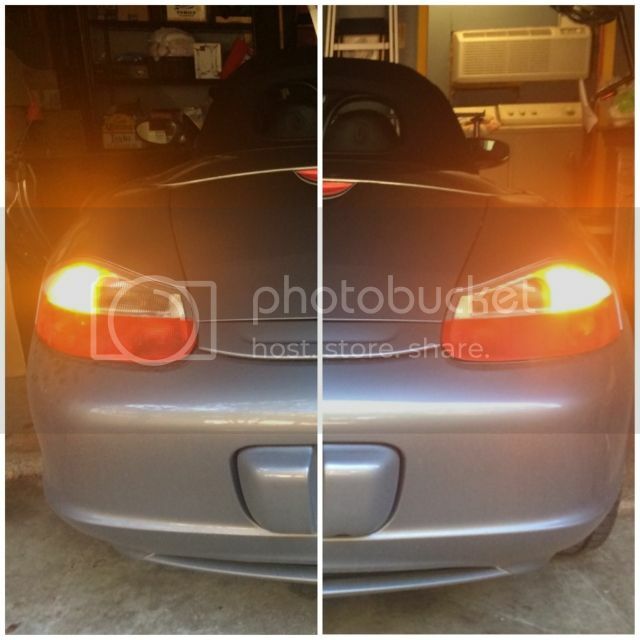 @Meir Yes, the front turn signals are still halogen, but I plan on swapping them soon. Last edited by fox986; 11-17-2016 at 11:27 AM. The shell side is what is switched and the center is common. Our bulbs are reverse polarity. Center post is negative. If you ever find your LED's aren't as bright as they should be, buy Cree LED bulbs instead. They're a little more expensive, but they are enormously bright. I've got Cree LED turn signals and they're gorgeous. Reason for asking is me wondering if the relay will " behave" with 4 LED bulbs. I ended up reversing polarity on the bulbs, and using resistors. The relay I had at the time, didn't work for me. I read somewhere that the brake LEDs do not allow to the cruise control to work properly due to the voltage being much lower and the CC not picking it up when you brake. @Meir I was wondering the same thing. The relay says "for LED" so I'm hoping it will behave. @Madmodz I read that as well. I will test it and confirm. 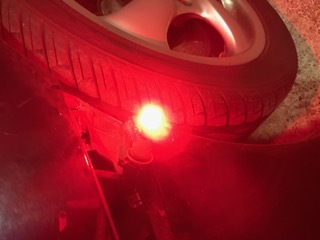 Has anyone ever modded the rear fog lights to turn on as running lights? 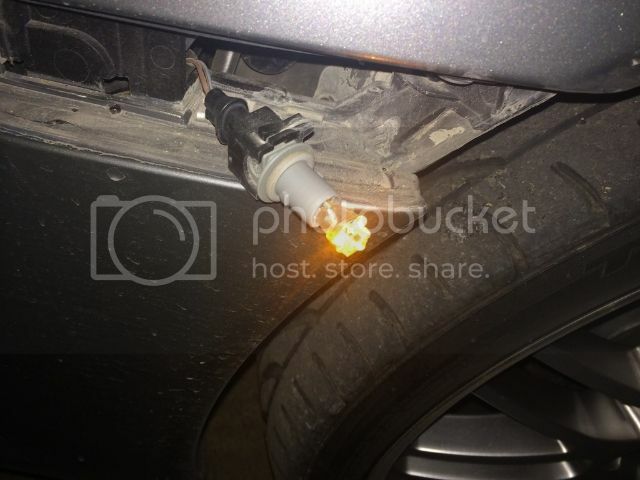 I've seen people wire them to brake lights, or wire them to both turn on. I think with a less bright bulb, they would bridge the gap of light between the rear marker and the running light. Last edited by fox986; 11-17-2016 at 07:49 PM. I tried LED's several times as straight swaps and everytime they were dimmer than the stock bulbs because they didn't light the reflector well and wasted a ton of light going in wrong directions. It looks like they've improved since the last time I tried about 4 years ago...though the brake lights still look dimmer. Has this relay been working for you? I have LED's for my side markers and they seem to blink uncontrollably. I'm wondering if this will fix it. Last edited by Dubaday; 01-11-2017 at 09:00 AM. Grab the old bulb and measure the resistance across the poles. Now measure the new bulbs resistance. Now you have two choices. Add the resistance in series and in parallel. The type of circuit will define the resistance needed. If I remember correctly series is additions x=y+z and parallel is 1/x=1/y+1/z. Please correct me if I am wrong. The reason why it blinks is that most flashers are Amperage sensitive. Have very low resistance causes the amperage of the circuit to skyrocket requiring the circuit to reset more often. Now knowing that you could fine tune your blinkers to your taste by switching resistances. Now what I don't know is if the left and right sides are on the same circuit and if they are, when you are in double. you could in theory make them blink at different speed, but I would imagine its one circuit. Sorry, I don't understand much when it comes to currents/electricity and how they work. All I know is that about 5 months ago, one of my bulbs for the side marker went out, so I replaced both side markers with LED bulbs. Also changed out my dome and door lights with LED bulbs as well. Everything seemed to work fine until just last weekend, I noticed my side markers pulsating like a disco ball. It's not the bulbs that are different, it's the bulb holder. But yes, not much help ... sorry. 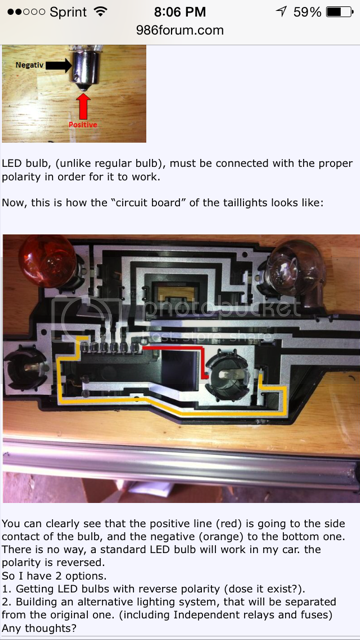 Incandescent bulbs don't have a polarity, but this thread is not discussing incandescent bulbs. Last edited by particlewave; 01-11-2017 at 03:06 PM. No worries. The relay is fine, its the local circuit that needs more load. You need to use an filament bulb. LED bulbs have a 50% chance of working and if they work they work incorrectly for the use most of the time. 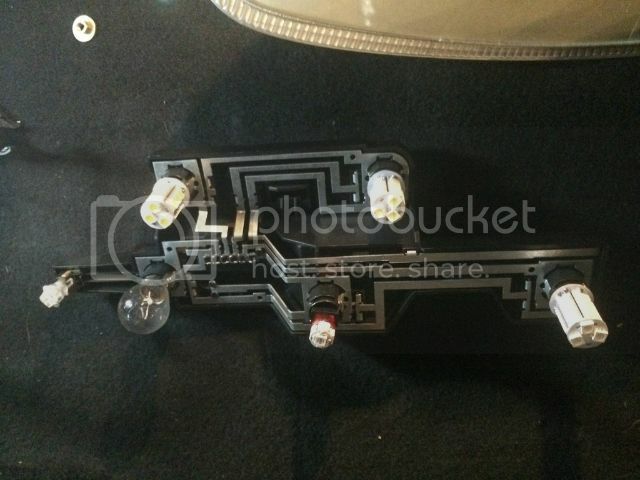 LED Light emitting diodes act like a "light emitting" check valve. Filament bulbs work like a water dam. LEDs don't restrict, filaments do. Now your issue is that you don't restrict the current enough. This is where most of the time you need something custom. That's what power resistors are for. Add them in parallel only. A series connection will dim an LED bulb that is already designed for 12V use. Side markers on this car do not function as blinkers, so the point is moot. There is no relay and it's not a turn signal. Dubaday has a failing LED side marker that is flickering. A resistor will not fix that. Last edited by particlewave; 01-11-2017 at 05:25 PM.